Broker Brothers has the most innovative transportation technology in the industry, which has enabled us to offer our customers the best pricing. 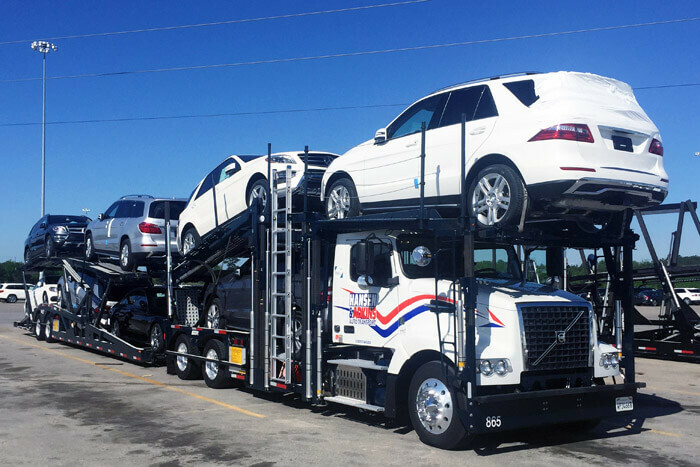 Our network of over 100,000 car hauling and specialized carriers give us the ability to ship your car anytime or anyplace. We promise our customers not only the very best pricing, but also full transparency with our all inclusive quote to ensure our customers feel at ease throughout the entire car shipping process. Our professional staff have a vetted interest in each and every one of our customers to ensure 100% satisfaction. We believe communication is the key to success in car shipping, so we pride ourselves in keeping our customers fully informed to ensure full and complete visibility. Broker Brothers is at your service 24/7/365 days a year to make sure our customers always have someone reliable to ship their vehicle. Broker Brothers not only vets our drivers, but we also perform daily inspections on our trucks for maximum protection of your vehicle. Our carriers are completely insured, along with Broker Brothers insurance for extra added protection and a peace of mind. Shipping your vehicle can feel a bit stressful, especially for many of our customers who work full time jobs or have other obligations. No worries…Broker Brothers offers a complete money back guarantee because we understand plans change, so we are always here to accommodate in any way possible. The answer is simple…we take pride in caring for your car just as much as you do! Our passion and dedication to each and every customer! Are you ready to ship your car with the best?